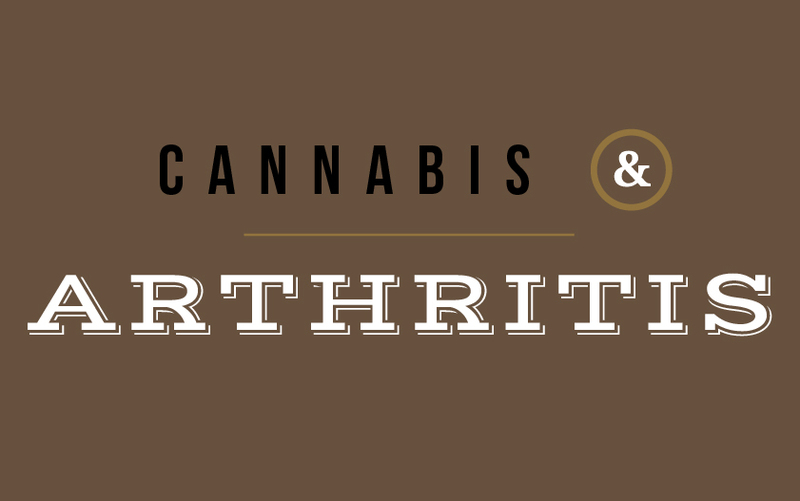 Can cannabis help with arthritis? It’s a very common question we get asked at our cannabis retail store. Cannabis use across North America is continuing to grow, thanks to policy changes and legalization. The statistics confirm individuals over the age of 55 are the fastest growing age bracket of cannabis users, and while there are many health benefits to cannabis, its ability to counteract the symptoms of arthritis seems to be one of the most appealing traits for this demographic. Arthritis is a rheumatic disease that causes inflammation, stiffness, and pain in the joints and the tissues around the joints. The condition, the most common versions of which are rheumatoid arthritis and osteoarthritis, affects as many 20 percent of American adults. A large body of anecdotal evidence, combined with a small number of dedicated studies, indicates cannabis can help ease pain caused by arthritis, and ease inflamed joints. A 2015 study published in the journal Rheumatology, revealed that cannabis acts on CB2 receptors, which are present in high amounts in arthritic joint tissue. These, along with related CB1 receptors, have also been linked to bone health in general, with animal studies indicating that a dearth of one or both results in weak bones. CB1 and CB2 receptors are the two types of pathways in the body affected by cannabinoids. When activated by the metabolized cannabis compounds, the CB2 receptors act as anti-inflammatories, and lessen pain. Cannabinoids that affect CB2 receptors do not cause the psychosis often associated with cannabis.Though some experts are still hesitant to recommend or prescribe cannabis for arthritis due to a lack of research, people have turned to this painkiller-alternative in droves. Surveys have shown approximately two-thirds of Canadian cannabis users, and as many as 80 percent of US users, are seeking out the various forms of the plant to treat their arthritis pain. Recognizing the needs of their clients, the US Arthritis Today magazine, published by the Arthritis Foundation, has featured articles on the topic, and the Canadian Arthritis Society has designed a guide to cannabis treatment, and hosted the 2015 Medical Marijuana Conference. A Canadian research project is currently underway, funded by the Arthritis Society, to explore the ability of cannabis to block the pain signals sent to the brain by nerves within the problematic joints. This evidence indicates that cannabis helps not by dulling the senses, but rather by identifying the source of the pain and countering nerve activity at that spot, thus reducing both pain and inflammation. Even a European study now a decade old shows the plant’s compounds can relieve pain when an individual is in motion, stationary, and asleep. Another more recent study tested an oral spray containing THC and CBD, and cited similar results.Users of this multi-purpose alternative medication have applauded not only this popular pain-quashing effect, but also cannabis ’s ability to increase mobility and reduce a reliance on painkillers. The latter benefit does much to decrease the detrimental side effects of traditional opioid prescriptions such as NSAIDs (non-steroidal anti-inflammatory drugs), which carry the danger of overdose and addiction, as well as ulcers, lowered respiration, and weight loss. More research is required before the cannabis ’s collective effects on joint pain are known, and before experts are willing to publicly acknowledge the potential of this treatment, but that hasn’t prevented tens of thousands of arthritis sufferers from seeking a natural alternative. If you’re interested in using cannabis to ease your own arthritis pain, speak to a FARM staff member to learn more about the best products for your individual symptoms.